Size: 6.3"x 5.6” x 0.13-.33” (159 mm x 141 mm x 3.4-8.3 mm). Weight: Wi-Fi 6.8 oz (194g); Wi-Fi + Free Cellular Connectivity: 6.8oz (194g). Actual size and weight may vary by configuration and manufacturing process. 1-year limited warranty and service included. 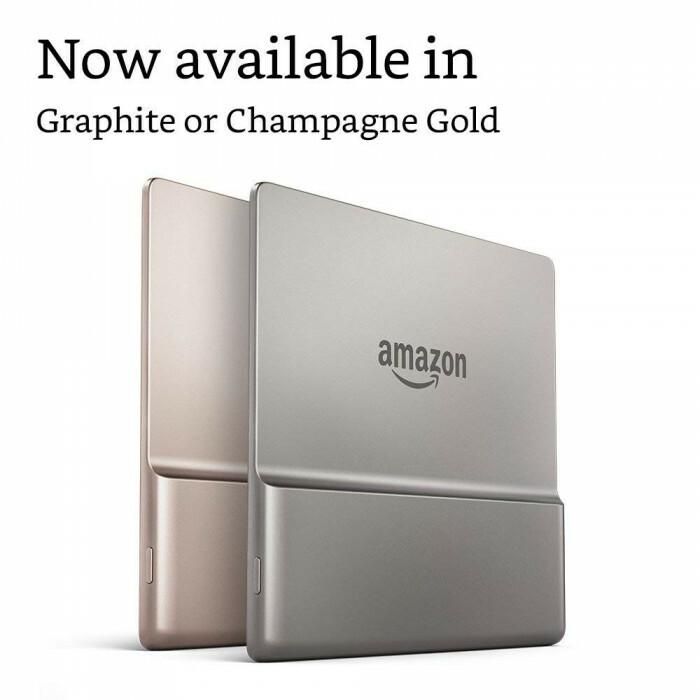 Optional 1-year, 2-year or 3-year Extended Warranty available for U.S customers sold separately. 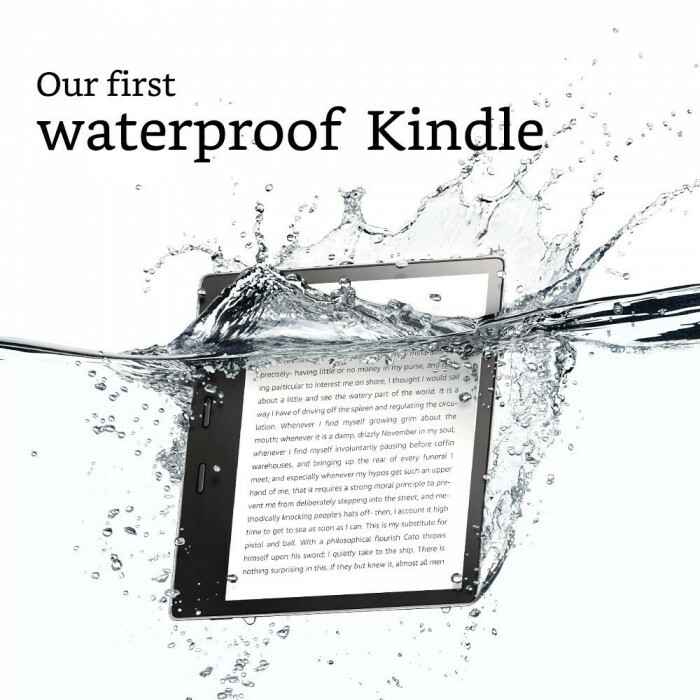 Kindle Oasis, USB 2.0 charging cable, and Quick Start Guide. 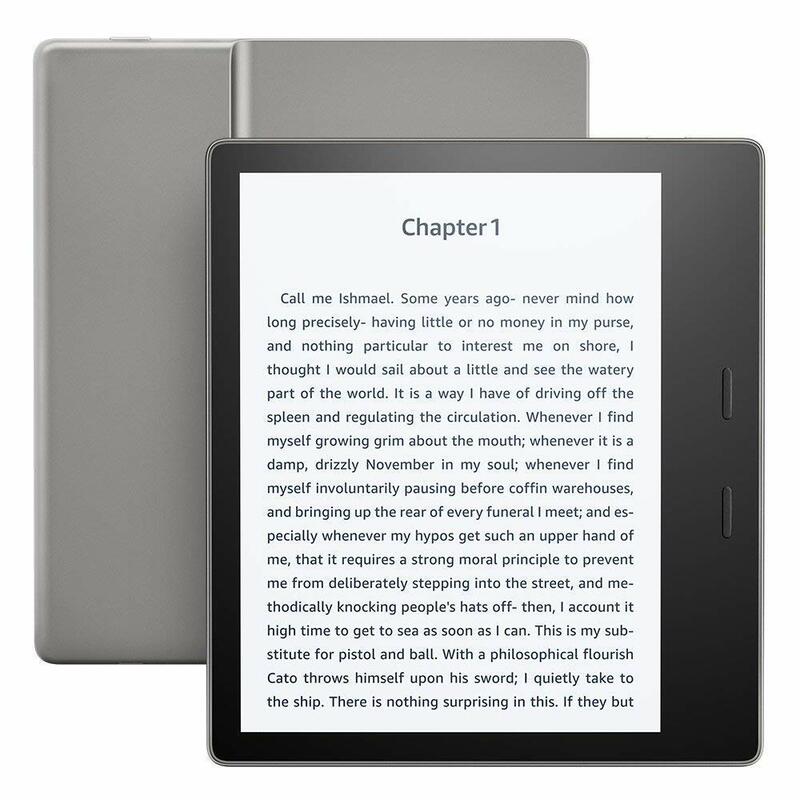 Kindle Oasis 9th Generation - 2017 release.